Jeevitha (in Devanagari: जीविथा) is a Hindu girl name of Sanskrit origin, which literally means "alive and life." Girl name Jeevitha is derived from Sanskrit word or name Jeevit (जीवित), which find references in Veda with meaning a living being or life. The name Jeevitha is not popular in USA as indicated by the absence of the chart. Jeevitha is a popular name in India. 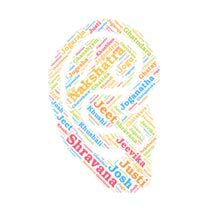 Jeevitha is adopted by many people in India as the name of their children. As per social media profile count, Jeevitha is used by nearly 633 people. The Hindu baby name Jeevitha is a Sweet and Common. Jeevitha has a very beautiful meaning attached to it. Jeevitha is an Indian actress concentrating on Tamil and Telugu languages of Indian film industry. Jeevitha Nouka is a 1951 Malayalam film. Jeevitha Chakram is a 1971 Telugu film.